You have been pulled over and arrested in Connecticut for driving while intoxicated. You were made to walk a straight line, put in handcuffs, placed into the rear of a police car, and asked to give a breath sample. Maybe you refused to give a breath sample or, if you did you blew a .08 or better. If this describes your situation you are likely reading this scared, confused, and believe that you are going to lose your license because you think that there is nothing you can do because you were arrested. The information on this page will alleviate your confusion and thereby reduce your apprehension. You will understand that there are things that you can do to prevent your driving privileges from being taken away and defend yourself against the charges. When arrested in Connecticut for driving under the influence, there are 2 cases brought against you at the same time. You are being charged criminally in a court of law for the misdemeanor charge of operating under the influence of alcohol or drugs, and you are being accused by the State of Connecticut Department of Motor Vehicles of violating the terms of your license by either submitting to a chemical test which indicated a blood alcohol level of .08 or greater, or refusing to submit to such a chemical test. This page deals exclusively with the Connecticut DMV refusal hearing. For information on your criminal case and defenses, click here. Although to obtain a driver’s license is a privilege, once one is given you have a property right in your license to operate a motor vehicle which cannot be arbitrarily taken away. 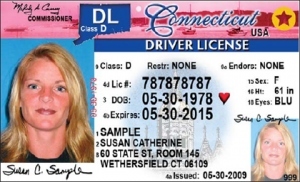 Under Connecticut DMV law and regulations, if you are accused by a police officer of a chemical test result of .08 or higher, or of refusing a breathalyzer, the CT DMV is notified and, before they can suspend your license must hold a hearing. The DMV, upon the receipt of an A-44 arrest report subsequent to your DUI arrest must, within 30 days, mail to you a notice of suspension and a suspension date. Understand that service of said notice is complete upon mailing the notice to your address of record within the DMV records, as you are always under an obligation to advise the DMV of address changes. Action upon receipt of this notice is critical, as you or your attorney must, within 7 days, request a hearing contesting the grounds of suspension; failure to do that will result in your license being suspended. Depending on your circumstances, the suspension period is at least 90 days. It is foolish to waive this hearing, as you have nothing to lose and everything to gain by contesting the automatic suspension. The hearing does not occur in the court, but before an administrative tribunal of the Connecticut Department of Motor Vehicles Administrative Law Judge. 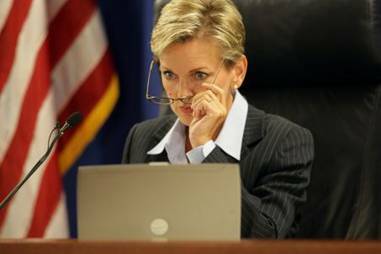 The outcome on the court case and this hearing have nothing at all to do with each other; you could be found “guilty” here you’re your license suspended and at the same time the charges can be dismissed in court; likewise, you could be convicted of Connecticut DUI but yet found not guilty under the per se administrative code. In fact, each one of these elements can be defeated. For example, having no valid justification for the underlying stop negates probable cause for the arrest; failing to provide a certified and signed chemical test result to the hearing officer, or failing to provide evidence of giving a proper test, negates the results of the BAC; failing to follow the protocols for giving the refusal warning negates a refusal; failing to allege operation on a public street negates operation – just to name of a few of the many defenses to the administrative per se hearing. Never waive your right to a per se hearing, no matter what you may believe the facts of your case to be. It always pays to have a hearing officer take a look at and rule on the quality and quantity of the evidence of your alleged intoxication, plus you are creating a record for cross examination to use in the court proceeding. Many lawyers believe that it is not worth asserting your rights at a per se hearing; however our office has a different experience and take on the matter. Our office has represented clients and prevailed in numerous DMV hearings. Most hearing officers are fair and will dismiss the per se allegation if the state does not have its evidence in order or your attorney otherwise undermines the credibility of their case.